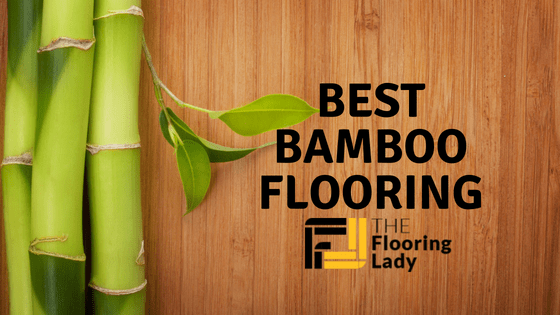 Bamboo flooring can be a great lower-cost option for those who want something that is sustainable and great looking; however, it can be tough to find the best bamboo flooring for your home. It comes in a variety of shades and styles that can offer different benefits for different homes. To help you with learning more about this great type of flooring and picking the option best suited to you, we're going to take a look at some popular options. We'll provide some highlights, pros and cons, as well as a rating to let you know how great that option is. If you're looking for something highly sustainable at a middle-of-the-road cost, this is a fantastic option to go with. It's a nice median shade of brown that is made to install easily and offer you a bright new look for your home. It's hard to fail with this option! This flooring is made to be easy to install, using a simple click-lock method that is friendly for do-it-yourself users. You'll also be able to expect to get a little over 21 square feet which can help you to figure out how many boxes you'll need for a given space. Finally, the 30-year warranty it comes with will also allow you to stay protected for many years. This flooring option is highly budget-friendly and offers a great look. Many prefer bamboo because it grows much more quickly and is therefore a more sustainable flooring option than wood. This option is also very easy to install, so you won't need to worry about the need to call in a professional to get the job done. Many customers have found they can handle it themselves. There can be some issues with dust being more apparent, so it's going to be a good idea to make sure this flooring is dusted frequently. You may also want to use a quality underlay in order to avoid any issues with echoing or sound. Some customers may also find that it has some markings that need to be cleaned off when they first receive it. This is a very low-cost option that can work in a number of situations. It's a light coloring that can really brighten up a space due to the fantastic shade. Furthermore, you'll get quite a decent amount of square footage per box, allowing you to save money. Though this option is rather inexpensive, it does need a nail-down or glue-down installation which can be a little more complicated than other choices. You will also get a 10-year warranty to ensure you're happy with the flooring for at least a decade. Furthermore, you'll get just under 38 square feet per box, which is quite a bit compared to some other options. 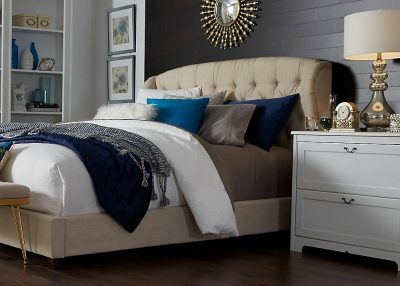 For those who are on a strict budget and want something inexpensive that still looks great, this is a great way to go. It's also made with a smooth finish that looks great and helps to protect against common forms of damage. 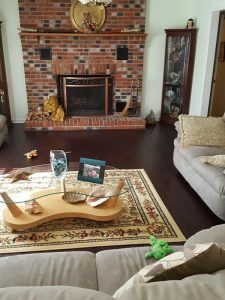 Overall, it looks great and it's a fantastic way to update your space without having to break the bank on the cost of new flooring. Lighter colored flooring can show dirt more easily, so it may need to be cleaned quite often. Unlike click-lock flooring types, this flooring can be more complicated to install. If you don't have a lot of flooring installation experience, then you may want to call in a professional. It's also an option that is a little thinner, so you may want a good underlay. 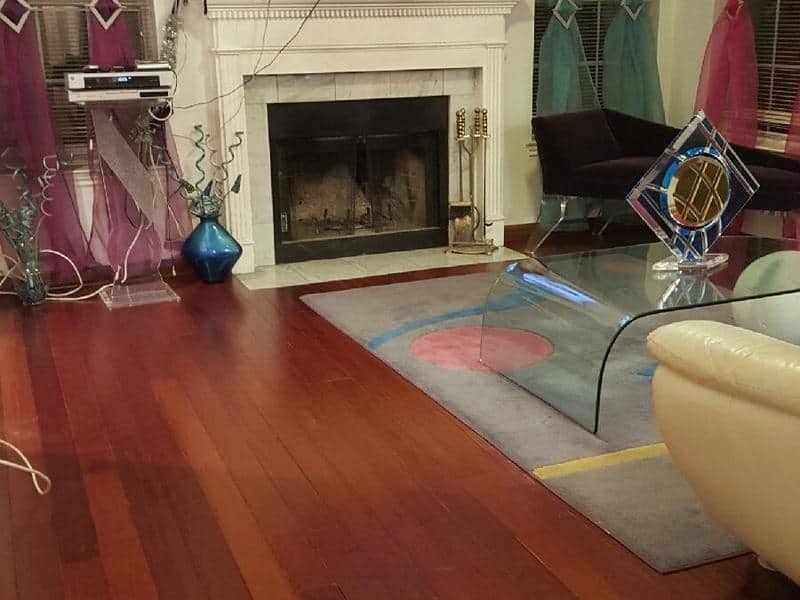 If you're looking for a smooth, darker wood option then you can't go wrong with this flooring! It comes in at a fantastic price, allowing you to get great flooring while staying within your budget. It's also an option that is going to be easy to install regardless of experience level. With this flooring, you'll get just over 21 square feet per box. It's also made to be quite stable, using an MDF core that will ensure you get more durability and lasting enjoyment out of your flooring choice. To add to that value, you'll also get a 30-year warranty to ensure any problems or concerns you may run into are fully and efficiently addressed. Darker tones are going to be more likely to hide dirt, though it may show a little dust. 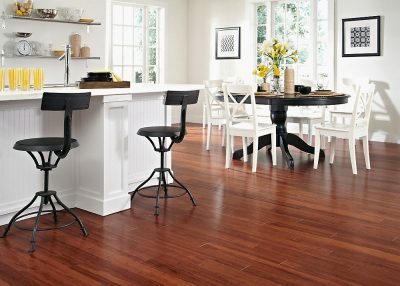 It's also a great looking option that will surely get a lot of compliments from those who get to see your new flooring. The click-lock installation method also makes it easy to get the new flooring in yourself without having to worry about the mess that can come with glue or nails. 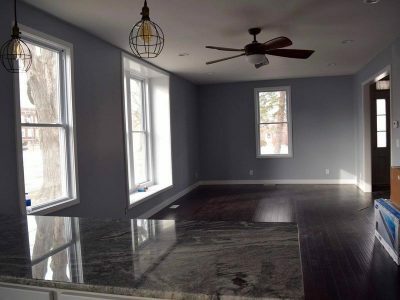 Overall, there have been few issues with this type of flooring. However, you may want to consider that it may need more frequent dusting than some other shades. It also comes in random plank lengths, which might be troublesome if you need specific lengths. You may need to be able to cut the planks in order to get the perfect fit for the space. 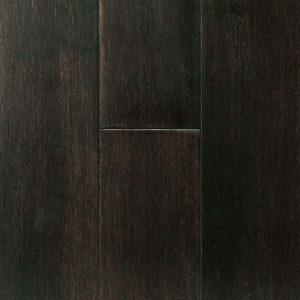 If you like the look of a darker, distressed floor, then this is a great bamboo option to go with. It comes at a very budget-friendly cost and you'll get a decent amount of square footage for each box you order, making it an easy flooring for covering larger spaces. At just under 38 square feet per box, you'll find it easier to fill your floors with this option. It also offers a great, darker color that can work with a wide variety of décor possibilities. Though it isn't a click-lock style of flooring, it's still going to have a lot to offer and can be installed relatively easily by those with a little more flooring experience. You'll also get a 30-year warranty to ensure satisfaction. Customers who have tried out this flooring have found it to be very durable, so you won't need to worry as much about common forms of damage that can occur with many flooring options. It's also very affordable and you can typically expect to receive boards that are in good shape. This is great for those who don't want the hassle of dealing with damaged boards. There can be some cases where many of the planks are damaged during the shipping process, so make sure to check them all as soon as possible after you get them so that any problems can be addressed. In other cases, customers may find that the planks they receive may be oddly shaped. In some rare cases, others may find that they are damaged more easily than they would like. Bamboo Flooring is growing rapidly in popularity. Praises for this natural flooring option can be found anywhere from HGTV to DIY home reno blogs, but how can you tell if this is the right option for your kitchen? 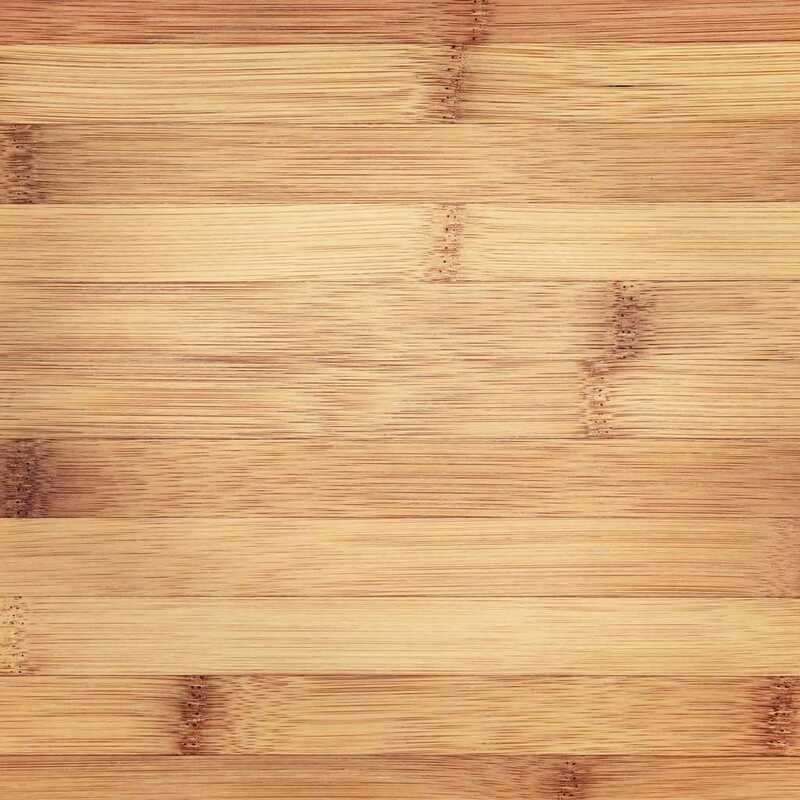 Read on to see our top 6 reasons to use bamboo flooring in your kitchen, and our opinion on when bamboo flooring may not be the right choice for you. Like most hard woods and their variations, bamboo flooring is available in a range of styles. 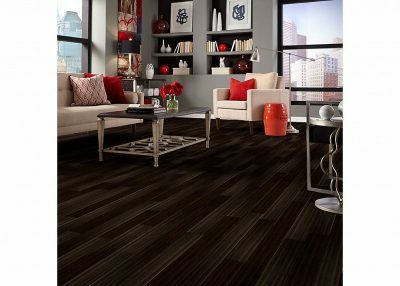 The sleek design of bamboo has made it a favorite contemporary flooring option. The natural coloring can be very light, but the flooring can be stained to suit any style or color scheme in your kitchen, and the flooring can be refinished in a different stain if desired. The trendy, wide plank style is highly sought after, which makes bamboo flooring a popular option in new homes and also in home renovations. Different manufacturers also offer a variety of styles, including a “zebra” style of bamboo plank which combines the lighter, natural style bamboo with the carbonized, dark finish bamboo flooring to resemble higher end hardwoods. One of the main reasons bamboo flooring is so rapidly growing in popularity is due to a greater demand in the industry for eco-friendly and sustainable options. Bamboo flooring is the highest renewable natural flooring option available today. Because bamboo is technically a grass, it takes significantly less time to mature for harvest than traditional hardwoods. Bamboo is ripe for harvest in only 3-5 years and, even more importantly, does not require replanting. This flooring option is also naturally water resistant and insect repellent, reducing the need for treatment with insecticides and other ecologically harmful chemicals. Perhaps the greatest reason that bamboo is a popular choice for kitchens is that bamboo flooring is both naturally water repellent and less absorbent than hardwood. Wax or urethane finish (usually the latter, as wax will need to be reapplied using specialized equipment) is applied to the bamboo flooring to seal it, which helps protect the floor from scratches and water damage. Starting in price from as low as $2 per square foot and ranging in price up to as much as $9 per square foot at the higher end for the flooring alone, bamboo flooring is on the cheaper end of the natural flooring options. Also, because it can be installed by nailing or gluing the flooring directly on the subflooring, it is possible to save additional money by installing the bamboo flooring yourself. The comparatively low cost of bamboo flooring makes it a very attractive option for flooring throughout the home, but especially in some of the larger rooms of your home, such as the kitchen. Bamboo flooring is surprisingly low maintenance for a natural hardwood flooring option. As the kitchen is the most highly trafficked room in your home, selecting a flooring that is especially easy to maintain is supremely important. To maintain your bamboo flooring, periodic buffing of the wax is required if wax was used to prevent absorption of moisture. Most bamboo flooring, however, is treated with a polyurethane layer that protects it surface. Regular cleaning of dust/grit/particles, etc. with a stiff-bristle broom will help prevent scratching. Because bamboo flooring is susceptible to water damage, the floor should never be soaked when mopping; use of a damp mop to clean the floors is all that is needed. Bamboo flooring is one of the softer hardwood flooring options. While this can be a negative, especially in wet or humid conditions, the flexibility of the floor makes it simpler to install, more versatile, and easier to update or refinish. While bamboo flooring is one of the least expensive and softest of the natural flooring options, if you purchase bamboo flooring that is on the cheaper end, you may end up with bamboo flooring that is too soft, leaving it extra prone to scratches and possibly water damage. Most bamboo flooring is listed as either Grade A or Grade B, however there’s little to no actual regulation of bamboo flooring, leaving it up to the manufacturers discretion as to what makes second quality flooring. If you are choosing to purchase bamboo flooring for any room in your home, it’s important that you investigate any company before you purchase to find out general customer satisfaction, details of any warranty they may offer, and their purchasing and bamboo harvesting practices. Many companies will also provide samples of their different products, which is a good way to test the flooring in your home prior to purchasing. Another reason to reconsider installing bamboo flooring in your kitchen is if you have larger pets, especially dogs. 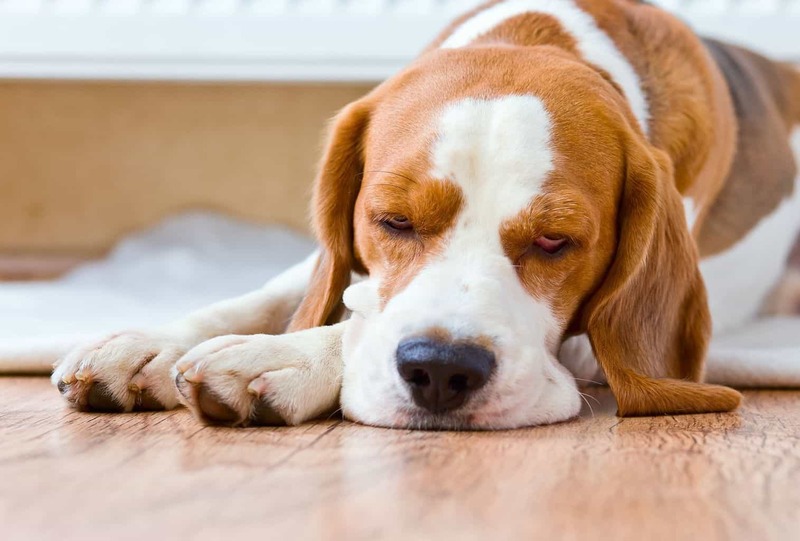 Pets’ nails are not great for bamboo flooring, or for most hardwood options, as they are much more likely to leave scratches in the softer wood. If you do have pets and are wanting bamboo flooring, you should consider extra layers of the polyurethane finishing to protect them. And finally, one last reason you may be hesitant to install bamboo flooring in your kitchen is that, while bamboo flooring is very trendy, the contemporary design may not fit the style of your home. 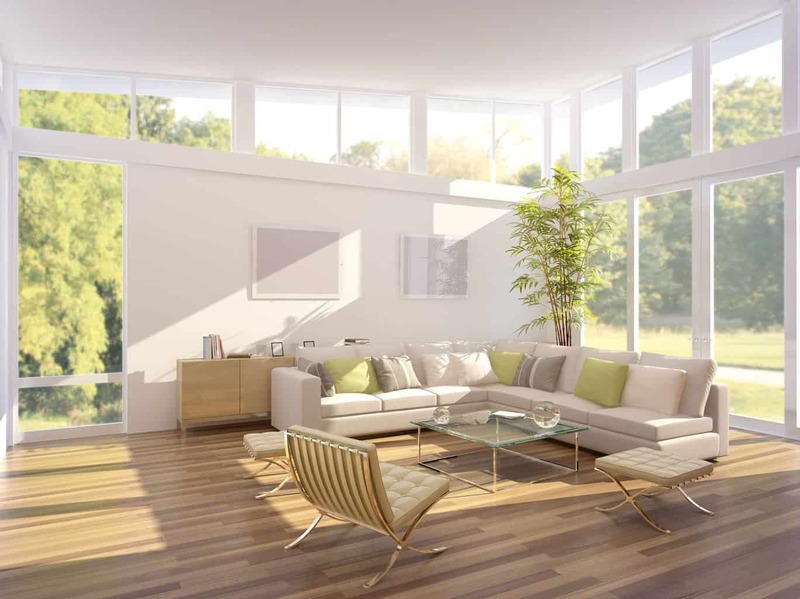 For this reason, bamboo flooring is an especially attractive option in new construction, but possibly not the best choice in a renovated older home. Bamboo floors seem to be all the rage now. It’s a sustainable building product, making it popular with the greenies and environmentalists. It looks like a traditional wood floor at first glance, but the knots and veins add an interest not found in wood floors. It’s stable so good in various climates (acclimate it well before installation though) and for floors with radiant heat. With the convergence of high gas prices, food costs and the intensifying effects of global warming, folks are searching for new ways to “green up” their lives. Much of that movement revolves around driving less, recycling more and searching for home products that are renewable and earth-friendly. Even in high-end home decor — previously a section of the marketplace where no cost was spared despite it’s impact on the environment — designers and builders are now seeing green by offering renewable or reclaimed products to their clients while keeping an eye on sophistication and style. Bamboo flooring fits these requirements perfectly. Made quickly and cheaply, the floor begins it’s life as single bamboo “pipes” that are split then steamed or soaked in hot water to rid them of vermin and molds. After drying flat, the split rods are cut into lengths and laminated with industrial glues to keep them straight, shiny and easy to install (many come with snap-in installation). The laminating process provides more uniformity and a more Western appearance. Though bamboo floors have been used in homes throughout Asia and the Caribbean since pre-history, the move to using bamboo in the west is a recent development — the first floor was seen in Architectural Digest just under 10 years ago. Similar in look to traditional wood floors when processed, bamboo is actually the fastest growing plant in the world, a grass that grows up to 2 ft per day and can be planted in any area with a long rainy season and plenty of sunlight. This fact alone makes it extremely green-friendly. But it is also extremely affordable and available, costing half the price of traditional wood floors ($3.00/sq ft vs. $7-9/sq ft for basic wood) and found at any Home Depot, Sam’s Club, or neighborhood Lowe’s, as well as flooring stores. It’s currently available in a dizzying number of colors and a minimum of 10 finishes while its sheer marketplace newness makes it perfect fodder for those who must always be on the stylistic cutting edge. There is, however, some debate regarding its durability. Though bamboo in its natural form has excellent flexibility (think of the many thatched roofs and hammocks in Asia made with bamboo fiber), when it’s processed with laminates, it becomes extremely finicky; scratching easily from moved furniture, road dirt from shoes and even heavy dust. Manufacturers across the board recommend removing one’s shoes when walking on bamboo (especially high heels — they’re prone to cracking the floor given enough pressure) and using a soft broom or cloth to remove dust and dirt daily. Top that with its tendency to fade drastically in sunlight, requiring regular rotation of one’s furnishings to avoid light and dark patches, and it becomes problematic — especially for families with children or pets. Other manufacturers of more “traditional” styles of bamboo flooring (less laminate, more layers of bamboo pressed together with natural glues) however, insist their floors are as tough as a traditional wood floor and virtually scratch resistant. 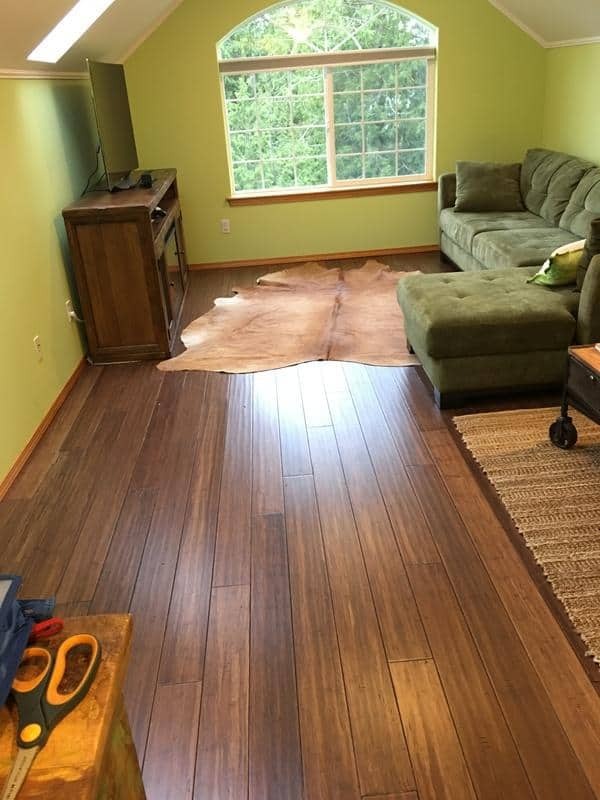 Some think the only drawback to this type of flooring is its more rustic appearance. With bamboo, it pays to research different manufacturers, ask plenty of questions and have your floor professionally installed. However, these drawbacks all depend on what bamboo flooring you select. The hardest bamboo flooring you can buy is natural, horizontal cut bamboo that five years old before being harvested, and finish it in place. The softest bamboo flooring you can buy is carbonized, vertical cut bamboo that is less than five years old when harvested, and is pre-finished. My experience with bamboo flooring is the pre-finished wood mars easily, but cleans up beautifully. It looks great too. As long as your installer uses sharp saw blades it installs nicely. Just be careful which flooring company you buy your bamboo from because not all manufacturer’s are “made the same”. Though not for everyone, bamboo flooring is a smart way to dress your home in affordable, renewable style. It’s been a wonderful solution for me. Installing Bamboo flooring in your house gives an exotic look, but in a subtle way. People always notice how unusual and beautiful they are and wonder about their durability. They are beautiful, easy to care for and durable. Part of the attraction to bamboo is that they are a sustainable building material made from a readily renewable resource. What’s harder than hardwood? Grass, it turns out. Bamboo, made from the giant grass plants of the bamboo family is an increasingly popular flooring option due to their durability and good looks. There are three types including three colorized options. Bamboo as a floor is harder than maple and up to two times harder than red oak. Furthermore, bamboo flooring is more resilient than most hardwoods, so it can absorb a greater impact without denting. Bamboo start off as long tubes of bamboo stalks. These stalks are split into “fillets” which have the rounded inner and outer faces of the stalks. Fillets are milled flat on all sides, producing as a by-product long, thin strands of bamboo. These strands are used to make woven-strand bamboo flooring, discussed below. The trimmed strips of bamboo are cold-glued together in one of two ways. Each method has its aesthetic and structural advantages. Horizontal bamboo flooring lays the strips side by side with their narrow dimensions glued together. This puts the broad face of the bamboo strip facing up, and gives the greatest exposure to the face grain and the “knuckles” or growth knobs on the bamboo. Horizontal bamboo flooring is glued in three cross-grained layers for thickness and strength. The longevity of bamboo flooring is determined by this thickness and strength. Vertical bamboo flooring lays the strips on their narrow sides, gluing them together along the broader face. This exposes the edge grain of the bamboo and provides a one-layer flooring of adequate thickness. The long, thin strands trimmed from the bamboo stalks form a unique flooring called “woven-strand” bamboo. The strands are literally woven together, impregnated with resin, and compressed under thousands of tons of pressure. The result is bamboo flooring with a beautiful pattern that is strong in all directions. Flooring is made from waste bamboo that would otherwise be burned. Is woven-strand bamboo harder than the other two varieties? They’re all made from the same material, so the answer would seem to be no. But the amount and quality of the resin used to bind the strands of bamboo together make a big difference. An inferior resin may crack under high heels and dropped bowling balls. Historically, horizontal cut bamboo has been considered the hardest of the bamboo. It is easy to maintain and cleaning bamboo flooring is pretty much easy as all you need to do is just sweep the place regularly to keep the dust and debris away from the flooring and can also use some non-alkaline floor cleaner. These types of flooring are more water-resistant than hardwood flooring also resistant to stains and damages. The price is also the same as installing hardwood flooring. Make sure to get quality materials than go for cheaper ones with lower quality. Certain type of bamboo is quite strong and provide extreme durability. These natural and un-carbonized bamboo can be very strong and durable almost comparable to red oak for its durability. Choosing bamboo for all your flooring needs is also becoming a trend nowadays and can add to the style quotient of your house to a great extent. Even though if your floors gets discoloured or damaged over a period of time, you can still refinish it to get the original look again in no time. The durability of bamboo is different from its hardness. Durability has much to do with the anti-scratch finish put on the flooring. Here again, lowest price often means lower quality. Generally, a high-gloss finish will show scratches more, while a satin finish will help hide scratches. Bamboo flooring comes in natural, partially carbonized, and carbonized (or caramelized) colors. 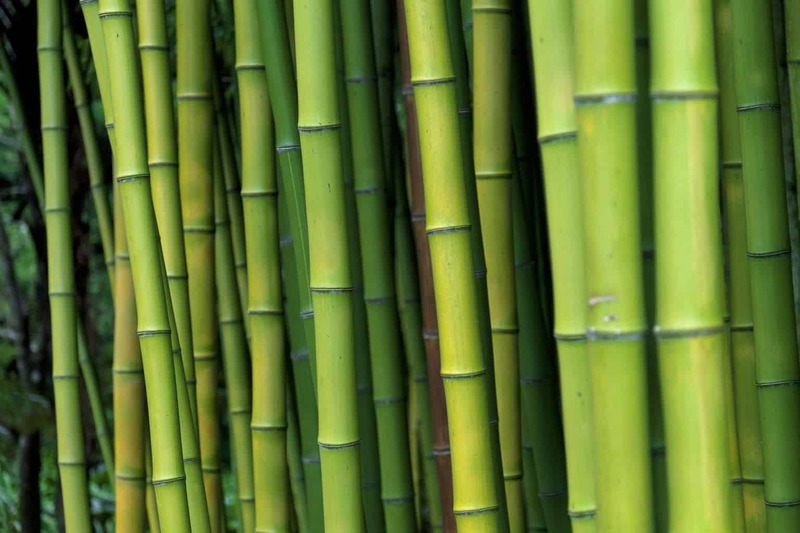 The bamboo is carbonized by boiling after it is split, trimmed, and dried. Natural is the lightest color while carbonized is the darkest. The more carbonized the bamboo is, the more its natural grain patterns show up. However, carbonized bamboo is not as hard as the natural bamboo. Make sure while selecting bamboo flooringwith three layers,if the board width is eight inches or more. One-layer bamboo might tend to cup or warp. This is true for vertical as well as horizontal bamboo boards. These floors are considered an engineered flooring.These floors are made from a very tough, beautiful flooring material that comes from a rapidly renewable resource. It is certainly proving popular among residential and commercial customers. Bamboo is grown in latitudes between 40 degrees south and 40 degrees north, mostly in Asian forests, though Central America has bamboo forests as well. Bamboo younger than five years old isn’t strong enough to make a long-lasting floor. After harvesting, a new batch of bamboo grass re-grows from the remaining rhizomes and “trunk”. Not only is bamboo a fast growing resource, but it also takes much less space than a hardwood forest to get the same amount of flooring product. This flooring material may seem a bit unusual at first glance, but it can really be a great option for those wanting a hard-surface floor. The positives of bamboo flooring are numerous. Fire, mildew, and naturally insect resistant. Health issues (being a hard surface, it’s a good option for those who suffer allergies because it doesn’t harbor dust and dander). It is a renewable resource, known for its hardness and durability. Good on radiant heat floors. Negatives around bamboo are few, and mostly relate to preferences, not the material itself. Noisy (being a hard surface, it reflects rather than absorbs sound). Bleaches in intense, direct sunlight. Construction (engineered versus solid material). 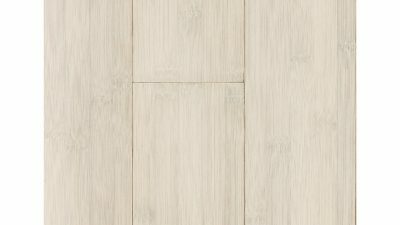 Short history in the market (it has only been manufactured as a flooring product since 1993, meaning we don’t have the history to tell us how it will wear in the long run). Bamboo is an engineered floor, with the processed grass strips layered and glued to make a dimensionally stable flooring product. It can be cut and glued horizontally or vertically, giving different looks and hardness results. And given its native climate where moisture ranges widely during the growing season, it can be used in places wood floors are usually avoided, like the in bathroom and kitchen and on radiant floors, because it is used to moisture fluctuations. Bamboo flooring’s hardness rating, usually gauged by ASTM 1037 (also known as Janko Hardness Rating) is higher than most wood floorings. According to ASTM 1037 tests, bamboo shows an average hardness of 1642, making it 21 percent harder than white oak and 13 percent harder than hard maple. Bamboo is amply hard enough to use as flooring. One example of its strength is illustrated by the fact it’s used for scaffolding in even high-rise buildings in China. Bamboo normally comes in two styles and two shades, though some manufacturers also make tinted floors. The styles include vertical and horizontal cuts. The horizontal, or flat grain, cut is the broad pieces glued side by side, and then several layers glued on top of each other to attain the 5/8″ thickness. Both show the “knots”, but the vertical cut is narrow slices glued side by side to achieve a 3-6″ plank width (both style of construction have thick enough slices that repair and refinishing are readily done). The shade options you have are natural (a soft, golden blonde color) and caramelized, or carbonized (a rich, caramel or amber color). 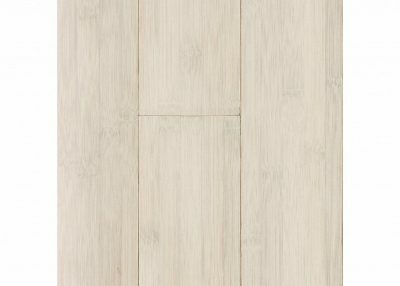 Flooring of horizontal grain with natural shade is the hardest of the bamboo products, followed by vertical grain with natural shade, then horizontal grain with caramelized shade, and finally vertical grain with caramelized shade being the least hard, but still harder than white oak. The question of whether bamboo can be used with radiant floor heating systems is discussed a lot. My analysis is that given its durability and being engineered, that if the radiant temperature in the heating element (electric wire or water pipe) doesn’t exceed 105 degrees (85 degrees being what my plumber subscribes to), there’s no problem installing acclimatized bamboo on a radiant floor. Your flooring installer can help you decide which installations style — floating, glue-down, or nailed-down — is best for your situation. Live dangerously and buy grass for your new floor. It may be the best option for you, given all that it has to offer, as your choice in a hard-surface floor. The top choice for this article is the Island Pearl Horizontal Bamboo Flooring, as it is very budget-friendly and won't show dust as easily as some of the darker options out there. It's also easy to get a lot of it so you can fill up just about any space you may need. If that option doesn't suit you, the others are also highly praised and highly rated. Make sure you take into consideration your installation skill level, budget and color preferences while you shop, and you'll surely end up with something that you'll enjoy for many years to come.